A grow tent is a small portable, mostly self-contained growing space for a small growing operation. A grow tent helps create and contain the ideal climate for plants inside the tent, while the atmosphere outside the tent is mostly unaffected. Well, that’s the description for your average grow tent, but what about the best grow tents out there? Of course if you want to classify a grow tent as one of the best, fundamentally it must have some typical yet ideal traits that it must possess to be called as a grow tent. A grow tent is made from soft flexible and collapsible fabric, somewhat like a camping tent. They are easy to set up, break down and move, making them ideal for short term operations. That’s the basics, but you’ll absolutely know if it’s one of those best grow tents after reading this special article. What’s more, if you read and learn my TOP 10 best grow tents reviews; I’m sure you’ll be surprised! What Else is Needed for a Grow Tent Setup? Are grow tents worth it? How to Grow Cannabis in a Grow Tent? There are different grades of material for tents. If light is a big concern, spend the extra money and get a tent that is certified light tight, so light will not leak. The frame needs to be strong enough to hold your light so check the weight of your light compared to the load capacity of the tent frame. Steel frames are best. Check that the frame connectors are also sturdy and won’t crack under pressure. The lining can be a reflective silver tone, or white. Both work well. One of the most common complaints about grow tents has to do with zippers and seams. Not only are these areas where light can leak, they are also stress failure points. You don’t want to go with a brand that is cheap with zippers and seams. You need quick easy hassle free access to the interior and a stuck or jammed zipper will be frustrating, and a broken zipper is worse, defeating the purpose of a tent. Grow tents should have exhaust and intake ports on the top and near the bottom, in addition to ports for electricity and cables. If your tent comes as a kit it may have a filter, if not you will need a filter for your setup to eliminate odor. Some grow tent kits come with a light, others you provide the light. Be sure the light is appropriate for the tent size and height as discussed below. This includes the zippered door or doors and any windows the tent may have. The more access doors the easier it will be to access and maintain the plant. Some manufacturers have doors that span two or more sides of the tent, allowing you to open up several walls at once. Well placed (not too high) windows allow you to monitor the plant without opening the tent. When choosing a tent size, measure the planned space. Do not forget to measure the height of the grow space. You must get the height right. A higher wattage light needs a taller tent because the light must be hung higher. A 6 foot high tent can accommodate a 400 to 600 watt light and plants that are a couple feet high. Also, leave about a foot above and outside the tent for exhaust ports. Tents taller than 7 feet will be able to accommodate 1000 watt lights and taller plants. Grow tents are generally rectangular shape or square. There are some that are angled and designed to be put in the corner too. If you have a rectangular light, a rectangular tent is ideal. But before knowing that, you must put in your mind that everything that I will list is more specified for serious growers, though of course, you could get them whenever you want. In addition to that, if you feel like you need something to set-up your grow tent then don’t hesitate! You can craft whatever you feel like doing! Make setting up a grow tent fun! Now, of course I’m certain that a lot of doubts are lurking just around the corner. It seems like it would waste more space in your actual room than actually utilizing it. Well the answer is simple. And I want to be real here (let’s be genuine for the meantime). No drama intended or whatsoever. Grow tents are actually made for growing Cannabis, of course. It is because Cannabis are quite special particularly in the eye of some individuals or the government that’s why grow tents are created. Indoor Cannabis grow tents allow you to create an ideal indoor environment for growing sturdy, healthy, and fine cannabis plants. Indoor grow tents are created with material that makes them able to be taken apart. Grow tents are efficient use of area that makes effective use of both H2O and light. A grow tent is a much better choice for those individuals who intend to be able to easily deconstruct their growing area whenever they want, or of course for those who have little budget in their pocket. In addition, cannabis grow tents are excellent for newbies as they are really convenient and so easy to adjust and operate. Grow tents give the ideal growth development for your weeds because you will be able to manipulate the growing surrounding with tools such as fans, or even filters. They can be found in a great range of various dimensions that will help you keep the costs lower to set up your medical marijuana operation. And also, they will definitely make your life uncomplicated. If you need to increase your lighting or you just need to exchange lights you already possess, your grow tent can make the task easily done. Not just that, grow tents have lots of space for high, vigorous, and balanced marijuana development and would make it much simpler for you to relocate it without harming your precious weeds. The clear plastic panels on the grow tent’s sides permit you to monitor your plants without the need to open up the entire tent for the purpose of checking. The materials used for the grow tent canvas is flexible at the same time thick that’s why its durability is so good. To be specific, the fabric used to create the tent is usually a basic determiner of total quality. What happens is, a heavy-duty canvas outer material, typically a nylon or polyester is bonded to a reflective inner layer, usually created of biaxially-oriented polyethylene terephthalate. Well, that’s smart scientific words for you. Additionally, they can be moved easily whenever you want. For the last note, grow tents are safe and they lessen maintenance for your cannabis grow, permitting for overall automation so you would be able to set up timers for lights, drip feeding, and watering. You don’t need to keep an eye on your grow tent alone safely for 1 or 2 days without worrying. Well, it is given that the best grow tents are worth it. So let’s try giving it an average and general overview! Prices are just around 70 bucks up to 150 bucks, for an average tent. Setting up a grow area to have all the same traits such as reflective walls, air-tight vents, water-proof, and so on, can simply cost the similar cost or even more! In addition, it’s quite hard to Do-It-Yourself a particular space so that it would work as well as a grow tent – on which it has been designed for this very purpose – and it will usually take more time, the planning and the effort compared to buying a pre-constructed grow tent. It’s a Piece of Cake to Set-Up! Constructing your grow tent and getting fully set up to begin growing will take approximately an afternoon and can be done by just pretty everyone. Overall, the task of setting up your grow tent reminds me of putting altogether a dresser from Ikea, only some tasteful weeds will come out of it every 4 months later! The allow you to grow cannabis without drilling holes for ventilation or hanging lights from the wall. The bottom of high quality grow tents are waterproof and removable, helping you avoid damage to the floor. They give the plant the maximum amount light possible because the reflective material is close to the plant and hits the plant from all size. A grow tent allows you to contain the growing to one part of a room by containing the light and growing environment in the tent, leaving the rest of the room free. Tents are ideal for those with limited space, renters, or those who need to grow and live in the same room. If you use a tent, you can have plants in the veg stage and flowering stage together in the same room, but separated by the tent, since veg and flowering phases need different light spectrums and timing. Since the plant can use more light due to the reflective walls, you can use a less powerful light and save on energy costs. High quality tents capture the aroma of the marijuana and filter it thru the exhaust and carbon filters, minimizing the smell and keeping your secret. A tent also prevents the plant from being seen in case someone you don’t want knowing about the plant accidentally enters the room or sees the tent in a window. You could say it is a portable wardrobe or storage cube or some BS like that. Need to up and run? You can pack a tent away and easily move the operation or put it away at the end of the season with no one the wiser. Let’s be real here, pretty much all grow tents were designed to grow weed. Gardeners of other produce do not have the same motivation to grow in a tent. So pretty much all grow tents are good for weed. But the Best grow tent depends on so many factors we just discussed. Ceiling height, grow space, how many plants you have, what type of light you are using and more. Just don’t get hung up looking for a grow tent that is designed specifically to grow weed, because they were all pretty much designed to grow weed. With that said, have you ever wondered on how you can actually grow weed in a tent effectively? Learning how to grow them needs quite the knowledge about the weed itself, but also certain steps are necessary to get your desired result. Let’s take a closer view on how you can grow your cannabis more effectively using a grow tent. Well, those bullet-points are for my lazy growers. For what you need, the best weed type to use is marijuana seeds and just some kind of cuttings. The capacity of the tent to manage 12 plants is approximately one sq. meter. Your substrate must be none other but soil. Now, here’s one of the most crucial part of the formula. Seek the ideal LED lights for growing your marijuana plants. You must use HPS lamps with 600 Watt that is 60 centimeters distance from your plants. Though, if you pick a 400 Watt HPS lamps, you must distance your plants for about 40 centimeters. In addition, you must keep the same distance throughout the entire plant’s growth cycle. Your weeds must get 18 hours in the light and just about six hours in the darkness. With this approach, your cannabis plants will certainly develop quickly and vigorously. On the side note, this period should just last for about 2 weeks or when your plants reach 25 centimeters in height. Now, during the flowering stage of your weeds, it must get 12 hours of light and another twelve hours of overall darkness. The flower phase will last between 50 to 80 days, though it would most likely depend on the weed’s phenotype. Go use an extraction fan so that your weeds receive the correct ventilation. Be sure that your fan is linked every time whenever you turn the lights on. Otherwise, in the dark phase, you must link your fan for about 15 minutes each hour. During the last phase of the flowering stage, try to increase your fan linkage to about 15 minutes each 30 minutes. And if the level of humidity gets up to 80%, you would need to connect the extraction fan consistently. Be sure that your grow tent’s temp is about 30 degrees Celsius and not less than 17 degrees Celsius. The ideal temperature to keep in your grow tent must be between 20 degrees Celsius to 28 degrees Celsius. As for the humidity, it must not go over 75% and mustn’t go under 20%. Nevertheless, the best humidity must be between 40% to around 60%. And now let’s go to the next bullet-point. Your marijuana seedlings should get enough watering as soon as they are transplanted, 150 ml of water for each weed will be more than enough. You can use a sprayer to make it convenient. Once the flowering stage starts, try increasing your watering for about 250 ml for each weed per day. During the last 2 weeks of flowering stage, your cannabis plants must return to getting 150ml of water for each day. Prior to watering, always monitor if the soil is not too damp. If it, then make sure to wait an extra day before watering it again. Fertilize your weeds with supplement solution on the day that you are not watering your plants. You can use pesticides to eradicate of some plant diseases and whatever pests that got it. But, make sure to apply the first treatment just a week after putting your cannabis plants in your grow tent and another treatment one week after your weeds are on its flowering stage. That’s the basic approach on how to grow weed inside your tents. Make sure you have the ideal lights to grow your cannabis plants and follow the mentioned steps. Marijuana plants must be well taken care of course, otherwise everything will go into vain. Now of course, everything is useless if you don’t know how to set-up your grow tent, that’s why I’ll guide you on how you could easily construct your own. Check whatever you must check! 1 Before starting, always be sure you have freed an entire afternoon to commit on this task. Get a couple of minutes to tidy up your space where you will be constructing your grow tent, as it is simpler to do it all in the start contrary to while you are actually now working. Be certain to put altogether your grow tent at its final phase! You don’t actually want to construct it only after realizing that it doesn’t fit through your doorway. 2 It can be quite hard picking exactly what grow lights you want, but once you have made your final choice, at least it is easy to hang whatever grow lighting system you want. The ideal way to hang your grow lighting system is to use rope ratchets if it’s possible. They are inexpensive and are very simple to set-up. Rope ratchets make it excellent to take control of your lighting systems at any particular time without the probability of dropping your grow light on your weeds. Usually, it is beneficial to be able to quickly put grow lights up or down, whether you want ideal access to the back of the grow tent without the bright light getting into your forehead. Or even just to get better photos of your lovely plants. Be certain that whatever you utilize to secure your grow lights (just go with the rope ratchets dude!) must handle at least double the amount of your light just to be in the safe side. 3 The ideal way to create an effective exhaust system is to hang your fan inside the tent. This essentially muffles the vibrations of the fan operating, and lets you make a straight way from your light to the fan for optimum circulation of the air inside your grow tent. Utilize powerful nylon rope to suspend your exhaust fan inside your grow tent to significantly reduce unnecessary sound and vibrations. Your exhaust fan will sound super loud if you set it up on top or outside your grow tent. If you are utilizing a grow light system that has an air-cooled hood that has all the unnecessary heat, similar to many MH or HPS grow lights, you could link the exhaust fan to the hood straight right out of a window so heat will never beam down into your lovely plants. For ideal outcomes, be sure that there is a way for fresh air to get inside your grow tents. Pretty much every grow tent has removable vents located at the bottom of the tent to let in some fresh air. In fact, some growers remove the covers entirely. But obviously, that increases the probability of any light leaking from your grow tent. To avoid this while letting some fresh air, you can create a small window of light trap facing down with the use of some built-in intake airway to let some fresh air through but not the light. 4 While some growers don’t utilize carbon filter, they can accidentally be creating a trail that leads straight to their plants. With that said, Carbon filters will surely help you to get rid of any unnecessary smells or getting whatever that isn’t intended to be in addition to sustaining a peace of mind. Similar to exhaust fans, I usually advice to my fellow growers to hang their carbon filter with some rope ratchets since a carbon filter is unexpectedly heavy and of course rope ratchets make it a lot more convenient to make the necessary adjustments. It is crucial that there is an air-tight pathway from the carbon filter to the exhaust fan in the absence of any air leaks for you to prevent smells from escaping your grow tent. Whatever way you end up doing it, the primary concept here is to ensure any air getting out of the tent should first pass through the carbon filter. So long as you maintain your grow tent close and the fan turned on, you must not be able to smell weeds in your home or outside. The minus air pressure generated by the sealed tent precludes any air inside your grow tent from leaking out. Here’s a good tip, when you open up your grow tent’s door it would break a particular seal, meaning smells might get out of the door or get pulled into the fan immediately. With that said, to handle the smell coming out, you could use an ONA gel, which is actually very effective on covering up unnecessary odors on a short-period basis. In addition to all of those, here’s some advice I learned from a certain dispensary owner. Construct a carbon filter with an exhaust fan with it inside the grow tent itself and operate it using some ONA gel whenever it is needed to make sure all unnecessary odors are gone quickly in your room, even if you have just opened up your grow tent. If you happen to have a smell emergency, you can utilize a fan directly linked to a carbon filter sitting on your floor. This is not really as effective as the real exhaust system for a grow tent, but it will certainly help clear an entire room of smells in a matter of minutes. Some of my fellow growers who aren’t able to fit their carbon filter in their grow space have been using this technique to thwart odors for a great yield. 5 You are now at home, relaxing. Your tent must already be constructed, and now it’s just a matter of monitoring it every now and then, and of course doing whatever changes you want. With that, said you can significantly lessen the sound of your fan by hanging them contrary to the typical practice of letting them sit onto something. Maintaining exhaust fans tidy will also make them as effective as necessary while precluding unnecessary sounds from occurring. For air and water pumps that are quite the sound maker, it would make a great difference to place them onto something directly to the ground. For instance, place them on some kind of wood will certainly help muffle any vibrations and sound. Now that’s for the extra noises matter. Here’s for the light and odor stuff. Of course, what you want to make sure is no light or odor could get out of your grow tent. After everything is constructed, turn on the grow lighting system and your fan for a day to give it a dry run. The sides of your grow tent must bow inward slightly when you turn on your exhaust fan. Inward bowing signifies that you have made negative air pressure, on which it is ideal since it will preclude odors from getting out of the tent. Make sure that your carbon filter is fixedly attached to your fan, so that no air will leak in. A powerful seal between your filter and your fan will secure that any air getting out of the tent passes through the filter and is fully out of any unnecessary odors. In addition, take a moment to keep an eye around your home to check if there’s anything odd when you turn on your equipment on. A continuous vibration might be a sign, so always be alert and precautious. Lastly, go outside of your home once in a while to inspect if there’s any recognizable vibrations or if there’s anything that seems odd. Get a good view around and inside the tent. Everything must be rightly fixed. Be sure that any kind of electronics are turned-off such as ballasts, just to be sure if any water spills. What you want to do is keep all electronic components at the height of the waist. On the other hand, any parts that have to do with electricity must be below your waste. Well, that’s how you want to take care of your grow tent. But I know some of you have somehow encountered the stuff called grow cabinets instead of grow tents and now are confused. If you are asking what’s the difference between the two. The answer is simple. Grow boxes or cabinets are quite small compared to grow tents. Of course for serious growers, grow tents are absolutely the ideal choice. It’s because grow tents provide more utilization such as more reflectors, better ventilation and odor control, and efficient growth for your plants. 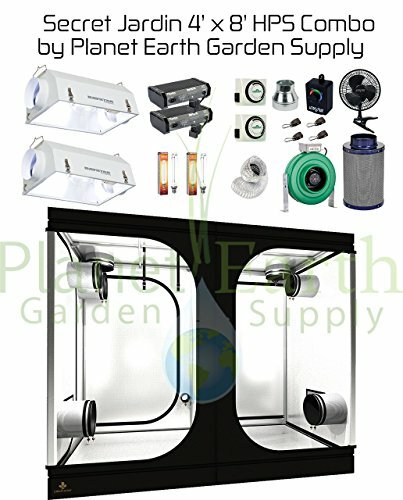 Grow boxes are most likely better for those who are taking indoor growing as a hobby and are not really committed to it. But there are also some individuals who chose to pick grow boxes because of their ability to blend with your room’s surrounding. In other words, if you don’t want anyone to let know that you are growing indoors especially if you happen to be growing weeds, then grow boxes are your bet. In conclusion, if you want to get more rewarding yields, go with a grow tent! Though if you are quite the secretive person, then grow box is for you. Now, you decided to go with a grow tent. But you are confused on what size you must get because some are saying that this is better and that one is more ideal. So what you want to do in this situation is choose what you feel like getting. If you’d like to get 4x4x7 feet tent, then go get it even if you are only growing a couple of plants. But make sure you will not regret it. With that, if you are only seeing growing as a hobby, I would recommend you to get 2 x 4 feet or 4 x 4 feet grow tent for appropriate results. On the other hand, if you are not growing weeds or your plants will look like to grow tall then I would highly suggest that you get at least 5 feet tall or if you can afford it buy something that has a height of 7 feet. What you want to remember here as long as you can afford that particular grow tent, or you just want that then go. You can always use common sense as your greatest tool when picking up your very own best grow tent size. Now you are thinking of purchasing your grow tent, but all you can find are “kits”. Yup, when you decided to buy a grow tent, distributors will not only sell the tent but instead the whole set needed to construct an ideal grow tent for actual growing indoors. Yup, if you are looking for an absolute complete grow tent, then pretty much those things are crucial. And of course a Zipper! So that’s that. If you want to buy your very own grow tent, then just put these stuff in mind to make a hassle-free growing inside your house. When choosing the location for your tent always consider the ceiling height, available power outlets and possible air vent routes. Keep the growing time frame in mind. You will need at minimum two months to harvest a plant so be sure you can commit to having the tent in the space for two or three months. When considering height of the tent, include the light, a foot of leeway over the tent, the space from the light to the plant canopy, the height of the bud strain you are using and add those together. You may notice many tents seem tall, and for good reason, they need to be to accommodate everything. Always grow plants in food safe containers, buckets or pots. Look for plastics marked 5, 4, and 2. If you use unfiltered tap water on the plants be aware it probably contains chloramines, which will kill beneficial microbes in the soil and on the root system. Consider filtering the water using activated charcoal, reverse osmosis or other type of water filter. Even running water thru a Brita filter a couple of times or leaving the water in the sun for a few days before watering is better than watering with straight unfiltered tap water, but it is a pain in the arse. A built in water filter is easier. Now, knowing all of that, you might want to know some good grow tent brands. Or perhaps if you are a perfectionist then fret not, I have a complete list of an ideal grow tent that you could use while having fun along the way! And certainly could answer your question of what is the best grow tent out there in the market. First of all, setting up this grow tent is just a piece of cake and of course fun! I felt that the quality of the product was just higher than the price I paid. The air ways at the bottom were sufficiently big to get in a good amount of fresh air. Secret Jardin puts into their design as possessing an adjustable air ways that sustains a grower an extra way of manipulating the temperature inside the grow tent. How wonderful is that! 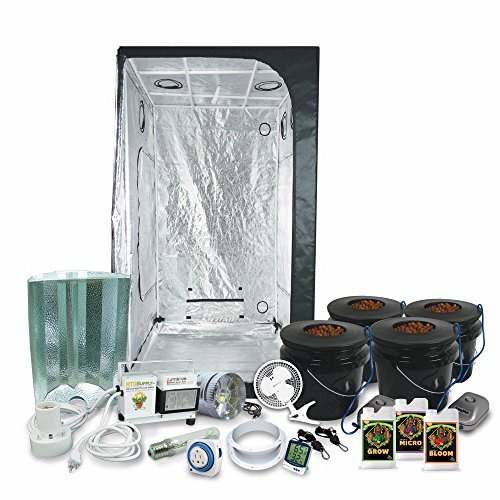 Has the best grow tent kits for beginners. Best grow tents for weed. 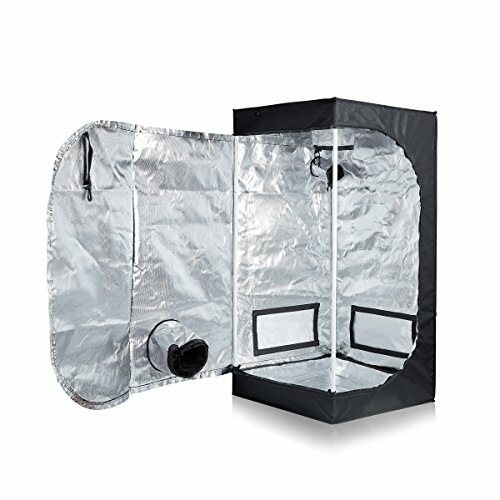 In my opinion, it is the best complete grow tent kit on the market. Having used this product on various scenarios, I would highly recommend this one, even for those beginners. The Secret Jardin grow tent gives you great worth for money. As one of the best brands out in the market, I highly recommend these for everyone since it also has the best complete grow tent kit in its category and the best grow tent for beginners. What I want to say is this grow tent is absolutely a worthy initial investment! The exceptional durability gave me so much reassurance that I could hang two hoods, a big air filter, and even two inline exhaust fans with its entire frame feeling like it could handle the weight just fine! Best paired with best fan for grow tent for optimal performance. If you are the type of person who loves sturdy stuffs, this is the ideal grow tent for you! 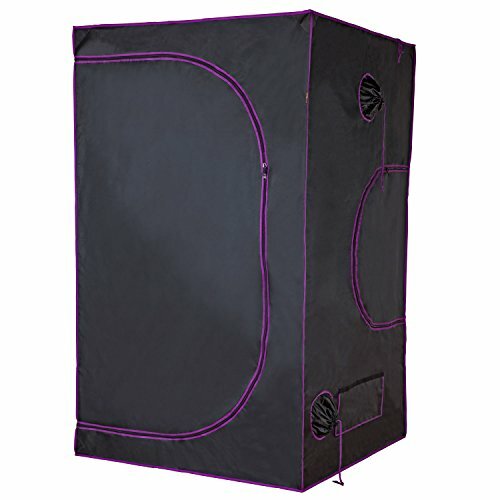 Among the top rated grow tents. In total, I would like to buy another gorilla grow tent because it’s just a heartbeat! If you just want to get complete packed grow tent with exceptional durability, then get this one! This product is an excellent set-up. There are lots of choices on where to run your cables, ducting, and exhaust fans. This must be the smallest setup you can buy when beginning as it is inexpensive and constructed way better than anything else that I’ve used at the same category. Again, this one was so easy to set-up, but be sure that all the rubber feet are going in the same direction or most likely the poles will not align correctly. The zipper in particular is of course of high quality. Overall this product has nice features and excellent design. I would highly recommend this for my newbie colleagues. 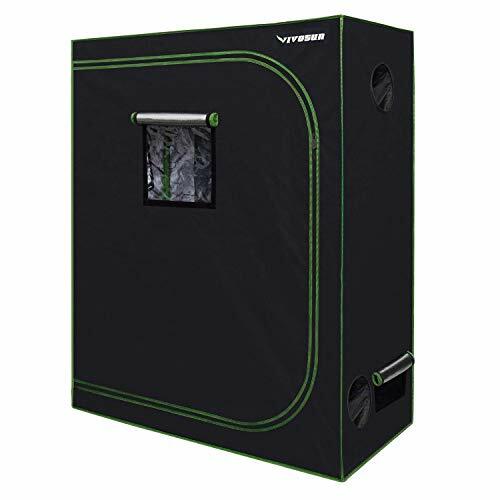 If you want a perfect little tent that is easy to set up and sturdy, then I expect you to get this in your hands because it’s the best small grow tent among my list. I must admit that I was in love with this tent for a very long period. I didn’t think it will be going to be as big and sturdy as it looks like. 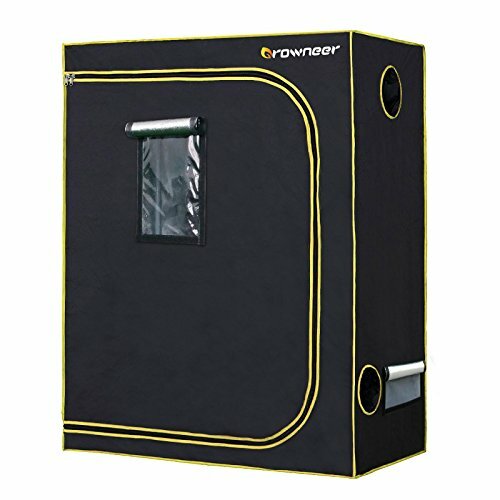 This grow tent has an ideal size particularly if you are a new grower. This was just the right size for me when I was growing a lot of weeds. Its peek window is the main reason I purchased this particular grow tent. Best grow tent for the money. Definitely, one of the best grow tents 2019. The zipper was suspended at one spot when I first got it but with enough utilizing it is working really smooth. Overall, awesome, great quality, and worth the price! I mustn’t forget to mention that it was relatively easy to set up! If you are looking for a great product with awesome and quality material, that is budget friendly, and very easy to set-up, then get this product in your house! 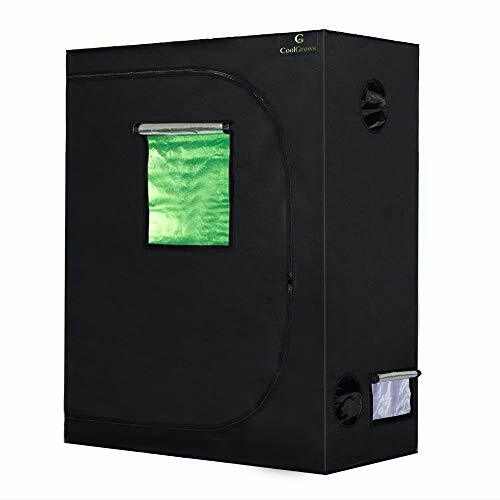 Great grow tent for its price. I purchased this one since it was cheaper compared to other grow tents in the same category. Well, I just want a grow tent that is reflective inside during a particular time. Setting it up was just a breeze. It has an extra layer for the floor that you can dismantle so cleaning up would be easy if you spill dirt or whatsoever. In addition, it has a window, so you don’t really need to keep opening the zippers to check your weeds inside. Best grow tent brand for me. The zippers are really sturdy and easy to zip and unzip. Overall, it is a great starter tent! This product is very affordable and has a lot of various good stuffs. If you are the type of a person who enjoys lots of things to utilize, then don’t doubt! Purchase this immediately! This budget entry level grow tent has a 2 by 2 footprint with a 4 foot height. The frame is powder coated metal; the zippered door opens two sides on the tent. It is made for 600d nylon and can hold 2 to 4 plants. It does not leak much light, which is impressive for a tent in this price range. Zippers, material, craftsmanship and quality are decent for the price you pay. This tent has two 16″ observation windows near the bottom, 3″ cable opening, 7″ exhaust and 7″ intake. Easily one of the best cheap grow tents around. 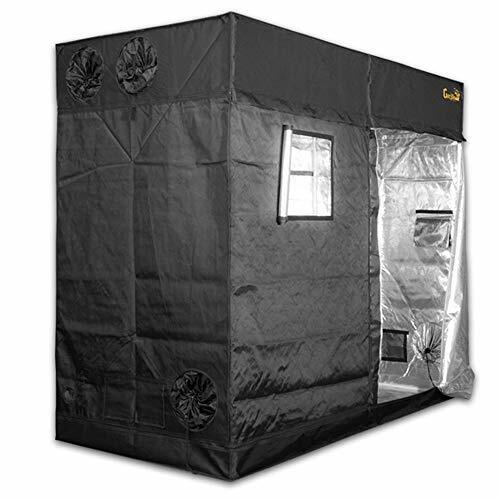 This large Apollo grow tent has a 4 foot by 4 foot square footprint and a ceiling that is 80 (6 feet 8″) inches high. This tent has two top vents, two side/top vents, two bottom vents, a cable port, two side zippered access windows and one zippered door. The frame uses metal connectors which are so much more durable than plastic, and can hold heavier lights. The ports and vents have drawstrings to secure them. The floor has a high wall removable waterproof tray. This setup can hold 6 to 9 cannabis plants that are up to 5 feet tall. 2 large access windows, plus the door. Well constructed and spacious, this tent is ideal for growing weed. 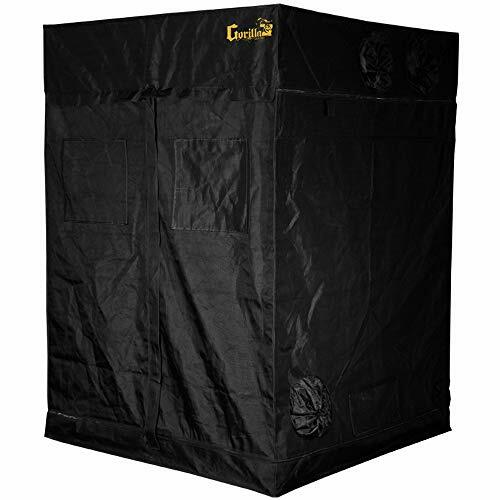 Gorilla grow tents are known for quality and this 4 by 4 lite tent is no exception. This tent is different from others in the Gorilla line because the fabric is 210D, much lighter and easy to assemble than the heavier fabrics. The lite line also has the ability to expand the ceiling with optional vertical height extenders. The frame is all metal, including connectors. This tent comes with a tool pouch, waterproof floor tray/pool, and thick large zippers. The tent has 6 11″ air vents that have drawstring cinch close on the inside and out. Small observation windows near the bottom. Gorilla perfected a lite version that can get high, with lighter 210D fabric and optional vertical height extenders. This model from Gorilla features their heavy duty 1680 D ultra thick tent fabric. It includes a 12″ foot height extender, has an all metal frame, large quality zippers two wrap around easy access doors and a roof insertion that blocks infrared light. 8 11″ double cinching air vents and three 3″ cable ports. The size is enormous. The footprint is 4 feet by 8 feet, and the tent height is 6’11” by itself, and 7’11” with the included 12″ extender. An optional 2 foot extender is also available. Accommodates ceiling height extenders and one 12″ extender is included. The highest quality, tallest tent you can buy. Period. Knock it all out in one shot with this COMPLETE kit (except seeds). Includes the tent, light, hydroponics system and nutrients. The footprint of the tent is 3.25 by 3.25 square. It is 6 feet 7 inches high, plenty tall. The light is 400 watt HPS and includes ballast. If you want to take care of everything at once, this kit is for you. Holds 4 large plants. One of the best grow tent setups. Ratchet hanger, easy to adjust light height. The all in one, everything you need, plug and play grow tent solution. Well, I’ll assume that you’ve got a good grasp of our topic about best grow tents with what I’ve just wrote. What’s important here is I’ve shared with you my Top 10 best indoor grow tent reviews and with that, I am hoping that you would land on a great choice. But fret not, I am confident that you will get the best grow tent on the market with what you’ve just learned. Well, blabbering stuffs here might not prove anything. Go and purchase your very first best quality grow tent so that you can feel that tremendous fun that I’ve felt during my early years of using my grow tents.